Seattle, 30 November 2001 — The international medical relief agency Médecins Sans Frontières (MSF) today called on member countries of the World Trade Organization (WTO) urgently to address the growing crisis in access to life-saving medicines in the developing world by creating a Standing Working Group on Access to Medicines. Such a working group would examine how international trade laws impact the availability of effective and affordable medicines for infectious diseases that kill 17 million people each year. Access to medicines for communicable diseases such HIV/AIDS, malaria, and sleeping sickness is a matter of life and death. The WTO must take the lead to ensure that trade of essential medicines is regulated in the interest of public health. 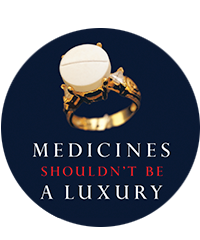 A WTO Standing Working Group on Access to Medicines would work to review issues concerning intellectual property rules as they relate to access to medicines. The working group must also facilitate usage by developing countries of the existing provisions within the Agreement on Trade-Related Aspects of Intellectual Property Rights (TRIPS) that allow for the protection of health. The World Health Organization (WHO) and other relevant international organizations should play an active role in supporting the activities of the working group. MSF is not questioning the importance of patents in stimulating research and development, but rather is insisting that a balance be founded between protecting intellectual property and assuring individuals' access to medicines. As it now stands a lucrative market for life-saving drugs simply does not exist in the developing world despite the fact that more than 90% of all deaths and suffering from infectious diseases occur there. Out of 1,233 new drugs brought onto the market worldwide between 1975 and 1997, only 13 were for tropical diseases. Market forces alone are not enough to address the need for affordable medicines or to stimulate research and development for neglected diseases.